Important considerations when buying a cash wrap for your store.. In a retail store, the cash wrap or checkout counter is your customer’s point of purchase. Making a positive impression with this piece of furniture is critical and many factors need to be taken into consideration when choosing the best cash wrap for your needs. Most checkout counters range from 48 to 72 inches wide, so when you make your decision, choose based on the size of your store. You will need to accommodate a point-of-sale system, as well as shelves for shopping bags, cash register tape, and other immediate sales supplies. 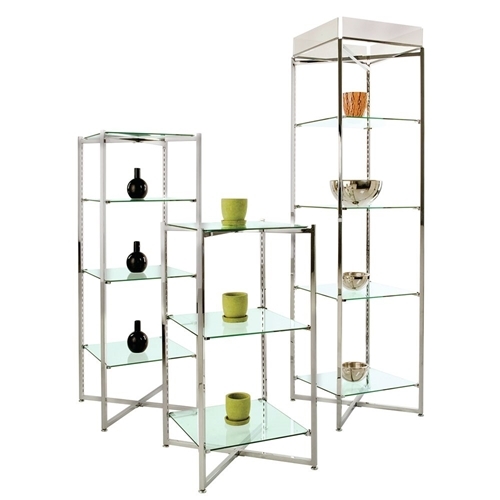 Some stores require more of a showcase with glass shelves and top. This allows viewing of more exquisite items like jewelry, purses, and collectibles. Your cash wrap should complement your general style. Choices include rustic styles, laminated or stained in a variety of colors, and should be a reflection of you and your store. It is generally thought by most experts that as shoppers enter a store, they turn to the right and move counter clockwise throughout the store ending up at the checkout counter to pay. The most common suggestion, then, is to place the cash wrap counter along the left sidewall about 12-20 feet inside the store. If the overall shape of the store is square, a register stand in the middle might work well, and if security demands, you may find that the back of the store is the best place for checkout. The cash wrap should be efficient with counter space clear to fold and bag clothing for checkout. However, this area is also ripe for impulse buys so without cluttering, place your lowest priced accessories near the checkout. These tend to be the most spontaneous purchases to make. One last note… The register counter is also the information hub of the store. It should welcome customers to ask questions. Have the answers readily available and maybe even a list of frequently asked questions on the wall behind the counter.